Saturday, while we worked in the garden fertilizing, weeding and securing our unruly tomato plants, we met a new garden friend. My husband met him first when he crawled underneath the tomato plants to clip off the discolored tomato sucker branches. He rested his hand on the black plastic below one tomato plant and felt the cool cover beat against his palm. Startled, he lifted one edge of the plastic and saw two eyes staring back at him. 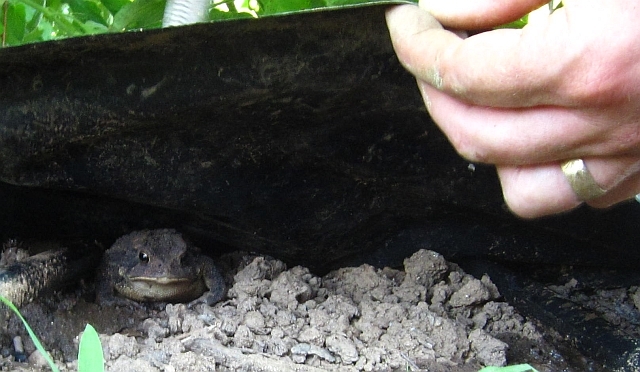 “We got a toad,” he announced. 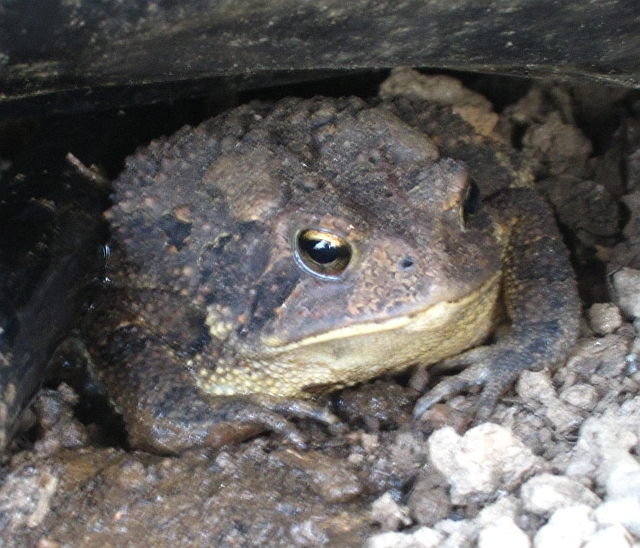 Toads help rid the garden of pests, including insects, slugs and snails. They can eat over 10,000 insects in one summer! Have a feast in our garden, Toady! He looks like he should be smoking a pipe. Do you think we’ll see his friend Frog?